A Stradivarius violin was auctioned on 21th June 2011 for a record price of US$16 million, a value almost four times the price of previous world record violins. All the funds raised from the sale of this Strad will be directed towards Japan’s relief efforts for the March 11 tsunami and earthquake. Proceeds from the sale of this near three-century-old Stradivarius violin will aid the Nippon Foundation in reviving traditional arts in disaster-hit areas. The fund will also support the holding of traditional festivals and arts in Northeastern Japan, which was damaged by the earthquake and tsunami in March 2011. The “Lady Blunt” is one of the remaining 600 string instruments left in the world made by renowned violin maker Antonio Stradivari. The Strad was previously owned by the Nippon Music Foundation and was sold in an online London auction hosted by Tarisio to an anonymous bidder who bid at £9.8 million, or $15.9 million. 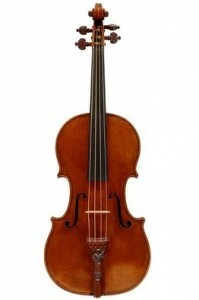 According to the Nippon Music Foundation, “Lady Blunt is named after Lady Anne Blunt, the granddaughter of the famous poet Byron.” The 1721 violin also retains “its pristine condition” and “the freshness of preservation is outstanding and deserves to rank with 1716 “Le Messiah” at the Ashmolean Museum, and 1690 ‘Tuscan’ “. Stradivarius violins are one of the most valued violins in the world, and many have fetched record million-dollar prices at auctions. Full press release of the auction by Tarisio here.